Publisher Focus Home Interactive and developer Spiders Games have released a brand new story trailer at E3 2018 for their upcoming RPG, GreedFall. GreedFall is being developed by Spiders Studio and is a magic-centric RPG set in an alternate 17th century world inspired by European Baroque art. MocapLab is very proud to have been part of this exciting project with Spiders Studio! Great actors, great team and a great result! 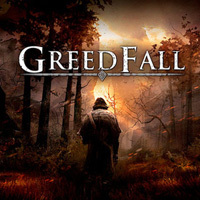 GreedFall is due to be released in 2019 and is currently in development for PlayStation 4, Xbox One, and PC.